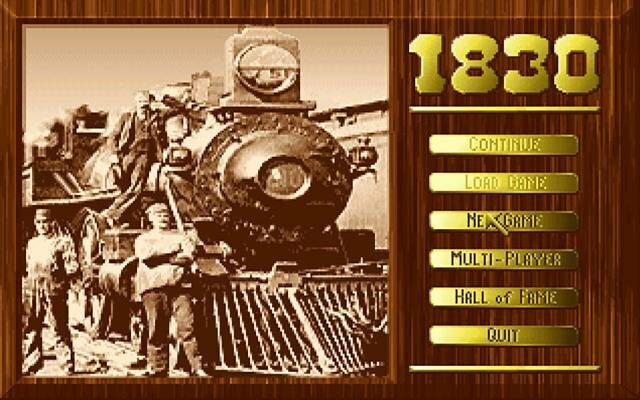 1830: Railroads & Robber Barons puts the player in two very different but often interdependent roles: that of President of a railroad company and that of a Baron. 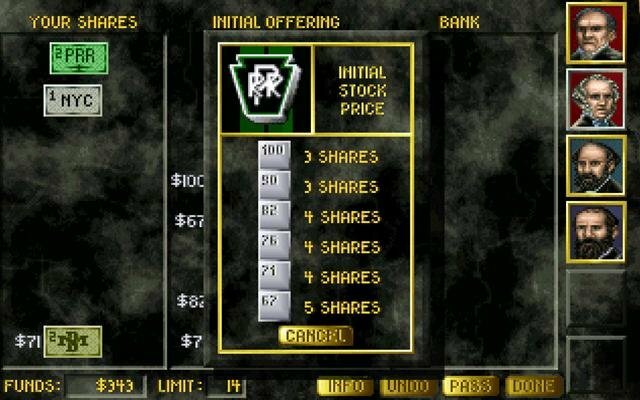 As a Baron, your goal is to earn more money than your competitors by speculating on the stock market and investing in railroads. 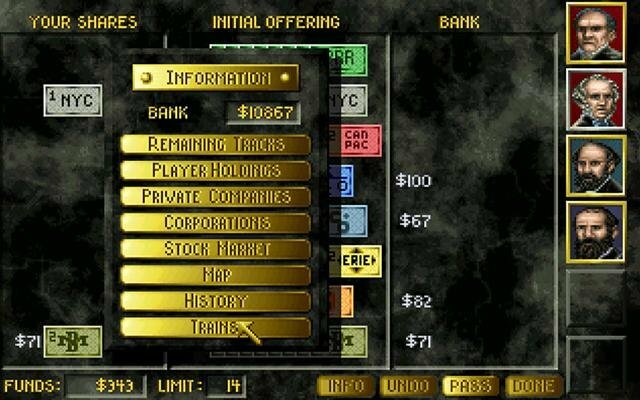 As President of a railroad company, you must lay track, buy trains, build the company profits, and pay stock dividends. 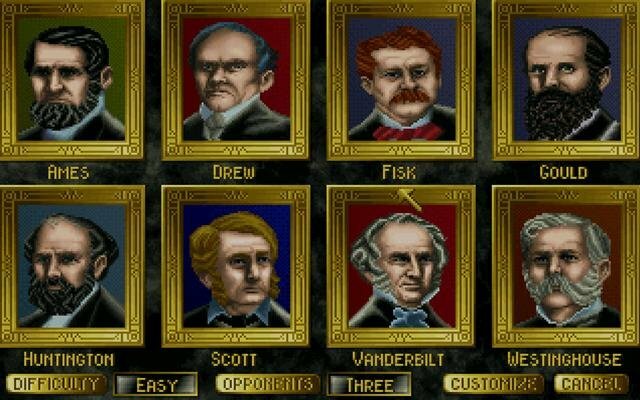 1830 begins with the player setting the game parameters and choosing a Baron to play. Features like random maps, splitting dividends (withholding half and paying out half), new rail lines, and different track tiles mean there’s strong replay value. 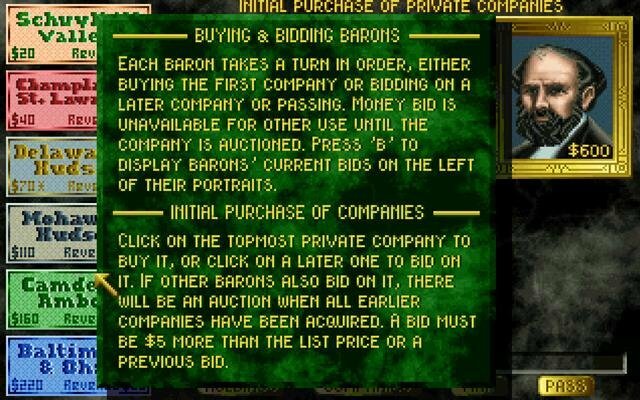 Depending upon how many other Barons you choose to play against, you start with a set amount of money to bid on and buy private freight companies. These companies yield a fixed revenue each round. After buying companies, barons gobble up as much stock as they can afford. The first share in each company is the president’s share, and gives the Baron owning it titular control of that company. 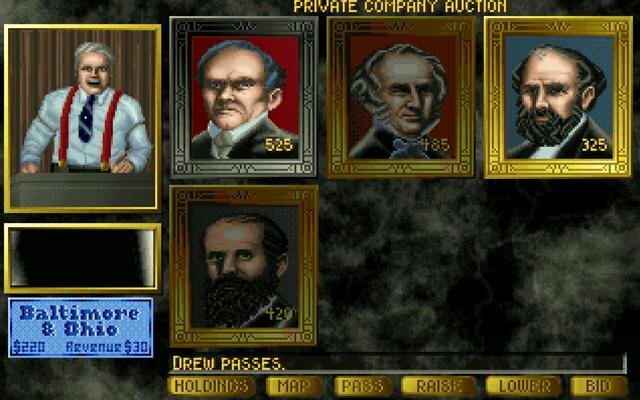 To actually operate that company, however, the Baron must buy enough stock to “float” it, which is 60% of all stock available. 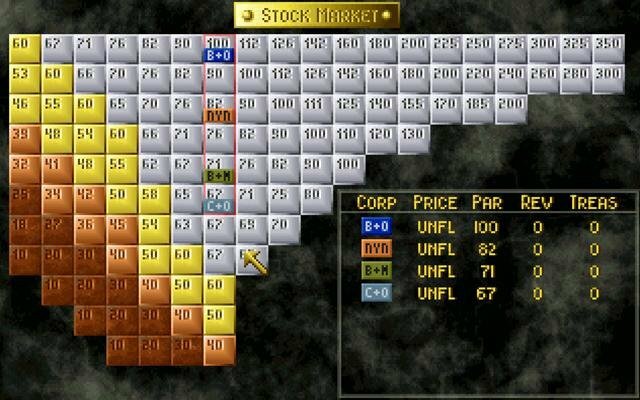 Once a company is floated, you become the president and are able to lay track, upgrade track, buy trains, and work toward connecting the most profitable tiles on the map screen. 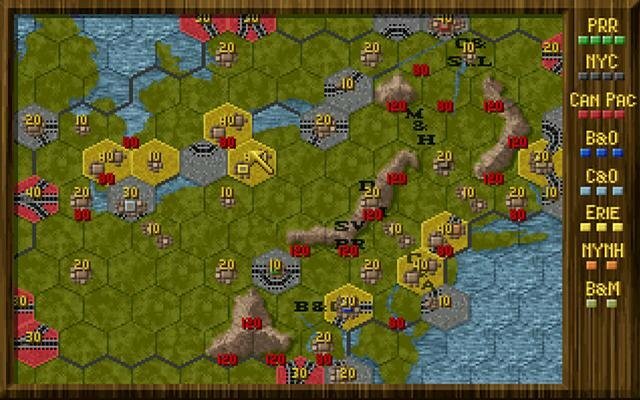 Limited to a small slice of Northeastern America, the map screen is divided into hexagonal tiles, each with a terrain characteristic or value. 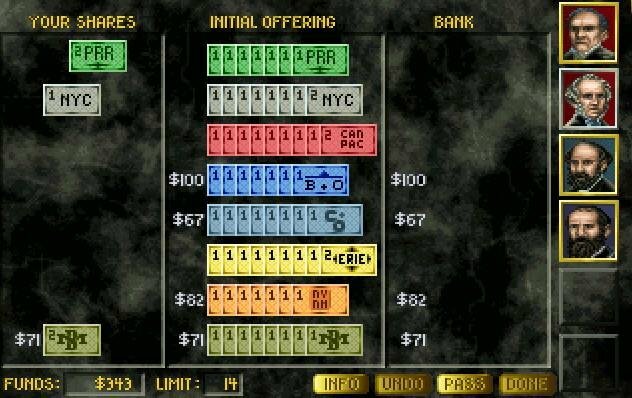 Cities and stations dot the map, and each yields a certain amount of revenue each round to any train able to pass through them. If you can run a train between hexes valued at 50, 40, 20, and 10, for instance, that line will bring in $120 each round. To lock control of a valuable hex, you can place a station on that hex, severely limiting the access other train lines have to it. Over time, you acquire trains that travel farther and earn more, paying dividends to stockholders and upgrading to better trains when available.